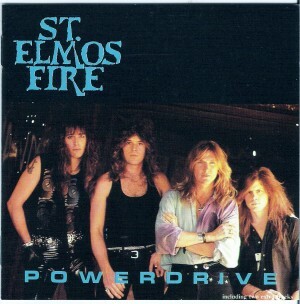 St Elmo’s Fires third album released in Europe in 1990. Contains the two bonus tracks that appeared on the original CD release only. Currently it is only available as a digital download thru the following providers ; itunes, amazon mp3, emusic, Rhapsody, Napster, MySpace music, Spotify, Liquid Digital (Walmart), Verizon V-Cast, Shockhound, Nokia, last.fm, Zune, Medianet, radebit, Thumplay and many others.